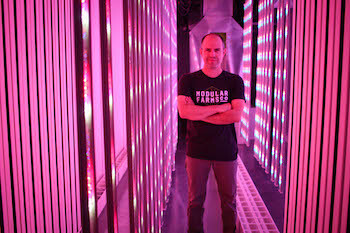 Eric Amyot, founder of Modular Farms. Photo courtesy of Modular Farms. There’s something romantic about an upcycled shipping container being transformed into a sustainable indoor growing operation. 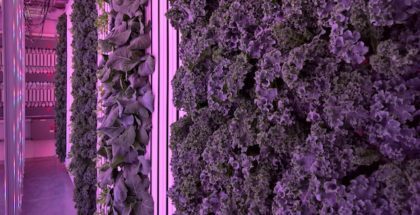 It takes would-be garbage from rotting in a port and turns it into a farm system that has the potential to lengthen growing seasons, reduce local food insecurity, and stabilize a farmer’s annual income stream. And, for some it works. But not always. Eric Amyot was an early adopter of container farming who purchased one of the best retrofitted shipping containers available in 2014 and started SmartGreens, a Canadian operation that grows and delivers fresh greens direct to consumer.